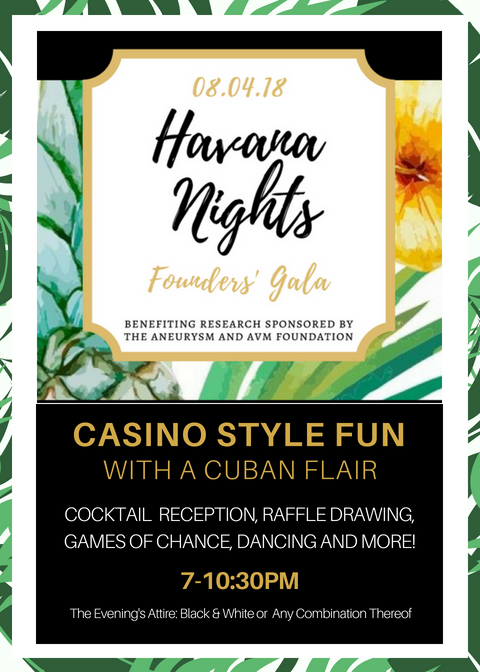 you are invited to attend an evening of " "casino style" fun with a Cuban flair. d'oeuvres, cocktails, dancing and more! Become a sponsor and purchase your tickets to support novel aneurysm and AVM research today. like to donate? Thank you!